The simplest way to sell more homes. Why advertise your development on BuzzBuzzHome? 700,000+ new home shoppers visited the BuzzBuzzHome Network last month. Be sure they're seeing your development. 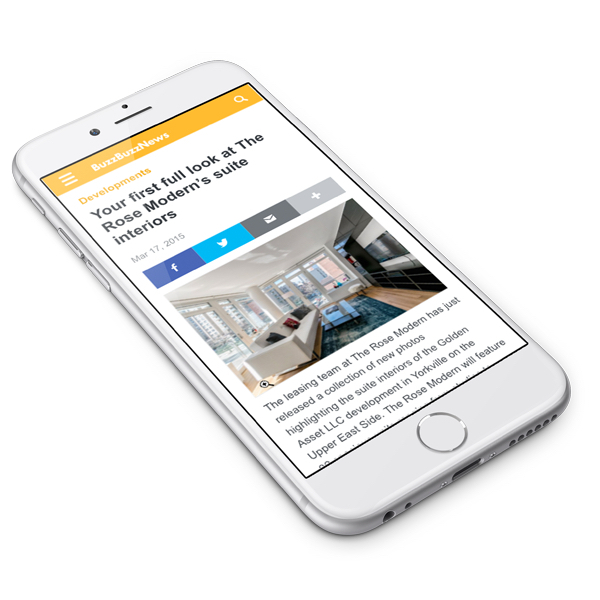 Ads for your development will appear on pages across the search platform and BuzzBuzzHome News site. Your listing will rank first in search results and appear on the pages of free listings nearby. 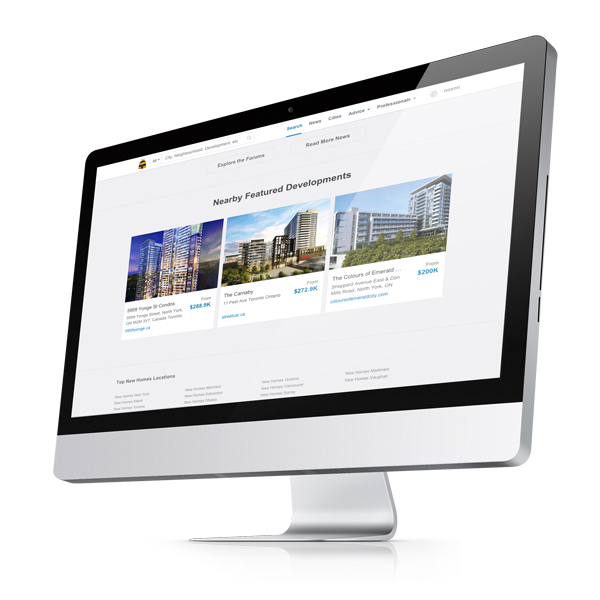 Get direct links and click-throughs to your official development website. Our editorial team will write original news stories about your development which will be published on our news site and promoted via social media. Paid listings receive 1,300 - 3,000+ monthly page views, 20X more than free listings. Paid listings receive 10X more referrals which are sent directly to your inbox so you can follow up with prospective home shoppers and close more deals. Paid listings stand out from the crowd. Don’t waste time with cheap traffic. Get qualified leads now. 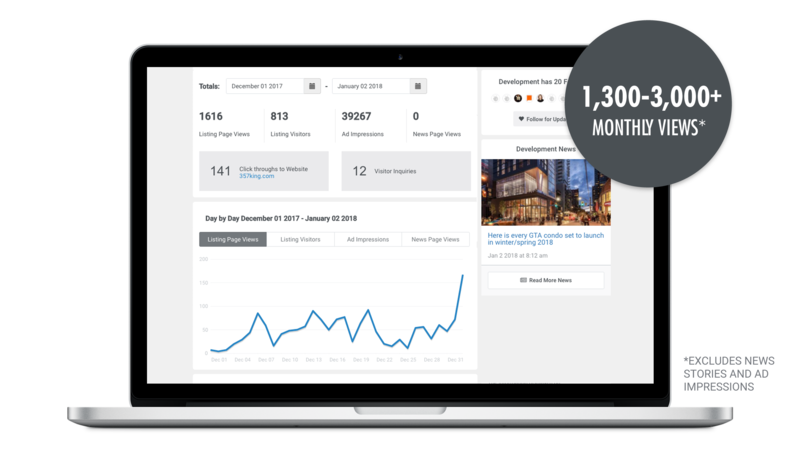 "BuzzBuzzHome has been our most cost effective means of advertising enabling us to reach hundreds of thousands of prospective home buyers at a fraction of the cost of traditional media advertising like newspaper and radio." Ready to upgrade your listing? Do you want more information about our development advertising program? Call us at 1 888 543 9154 or send us an email to sales@buzzbuzzhome.com and our team will contact you.